A four-time Olympian, Lowell Bailey has been competing in the sport of biathlon for nearly two decades. He is best known for becoming the first American to win a biathlon world championship, following a first-place finish in the men’s 20-kilometer individual at the 2017 International Biathlon Union (IBU) World Championships in Hochfilzen, Austria. Bailey has also become well-known for his stance on clean sport and his advocacy for a level playing field worldwide. Now retired following the 2018 Winter Olympics, Bailey spoke with USADA about his experiences in sport and the next steps in the fight for clean sport. Q: After almost 20 years, how does it feel to be done competing? Lowell Bailey: Being finished with my career is an amazing feeling. There are a bunch of mixed emotions – on one hand, I’m excited to see what the next steps are to transition into life after being an athlete. On the other hand, I’m struck with the realization that I’ll never be in that race environment again. I’m very thankful that I’ve had such a long career and I feel like I’ve been able to experience a lot of different elements of world cup racing. Q: The Whereabouts process has probably gotten a little better since you started, but you’re probably not going to miss that? Lowell Bailey: I totally understand the Whereabouts process and it’s definitely a necessary tool. And it really has gotten a lot better in the last 20 years. In the last few years, it’s become so easy to update. There’s a lot of online tools that make it streamlined and you can do it quickly on the run. If plans change, you can adapt. I would say it’s as streamlined as it can be, but I definitely look forward to not having to tell an entity where I am at every hour of every day. Q: There is no question that competing clean is a massive commitment, so what motivated you to train and compete clean and uphold those obligations for so long? 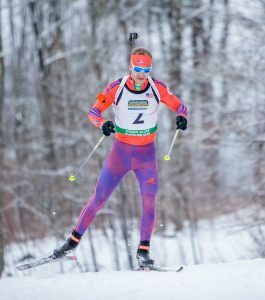 Lowell Bailey: Perhaps I’m idealistic or naïve, but I really feel like I’ve been surrounded by athletes and coaches throughout my career as a U.S. biathlete that believed in the honor of competing clean. And I think it really boils down to the fact that we all want to go out and compete to our best level. We train every day to improve ourselves. And we hope that everyone else we’re competing against is doing the same thing. With that comes the assumption that everyone is playing by the rules. After looking at what’s happened over the last few years internationally, it’s sometimes hard to maintain that outlook. But I can say that I really believe the biathletes on Team USA who I’ve been competing with for the last 20 years believe in clean sport. And that we all feel like any sport is better when it’s fair. Q: Speaking of your team, you’ve been competing alongside Tim Burke since childhood and for your entire career, correct? Lowell Bailey: Tim and myself, as well as some other local Olympians like Billy Demong, we all started out in the Lake Placid area as 10-year-old kids that just really wanted to ski race. I have some pictures that go back to those days and you can see in our eyes just how excited we were to be competing…ski racing had lit the fire within all of us. And that fire is still alive to this day. Q: How does someone like Tim inspire you? Lowell Bailey: That’s a great question because just a few days ago, I concluded my athletic career with the races at U.S. Nationals in Salt Lake City. It was a three-race series and on the third day – the last race of my career – it was a hard-fought race among three or four of the top guys. I took the lead for the first part of the race, and then towards the very end, I missed one target, and Tim ended up clean. He had been behind me by about 25 seconds until those last shots that brought us together. So it ended up being Tim and myself racing the last lap, of the last race, of both of our careers. Without planning anything, we ended up tying for the gold medal at U.S. Nationals. Tim and I have always raced together and trained together in that way – just two guys out there competing against each other and pushing each other. And it really helped me to have someone like Tim to train with throughout my career. I think we both pushed each other to heights that we wouldn’t have reached if we had been doing it solo. Q: In recent years you’ve become very outspoken about anti-doping and clean sport. What was it that drove you to take a stand at that point? Lowell Bailey: Clean sport has always been really important to me as an athlete. But I think the pivotal moment for me was the McLaren report. Those revelations corroborated all of the allegations that were out there and confirmed the biggest doping scandal in the history of our sport. I was honestly appalled by McLaren’s findings. The report showed that athletes I had been competing against had been actively cheating or were involved in a system that was cheating. I had questioned if there were maybe a couple athletes that were pushing the boundaries, but I never in my wildest dreams thought that there was a state-run, systemic doping system. Q: Based on your experiences, is clean sport a conversation you wanted to initiate earlier? Lowell Bailey: Before Sochi, we did have anti-doping rule violations in our sport. But I think I had the idea, or the belief, that these were outliers. As much as I was enraged with those singular cases, I didn’t really contemplate the fact that it could be a systemic problem. Q: When you did start taking a stand on clean sport, did you get support from others involved? Lowell Bailey: It’s interesting. When I started to try to rally support from the athletes in an effort to put pressure on our international federation (IBU) to strengthen our anti-doping rules and the enforcement of existing rules, I realized there were two groups. There were athletes who were unconditionally behind me and in favor of anything that strengthened anti-doping rules. But there was another group of athletes who were skeptical…and concerned that there was an agenda behind what I was doing and that we were out to vilify a certain nation, or a certain group of athletes. In reality, I truly believe that the best competitions are ones that include the largest athlete representation from across the world. So it really has nothing to do with where the athletes are from. It’s only about clean sport. And fair play. And trying to preserve clean sport and fair play on the international stage. It was eye-opening to see that what I consider a very black and white issue, can be interpreted in very different ways. That’s a really important thing to recognize as the various stakeholders move forward in this anti-doping conversation. Q: But biathletes around the world, including the U.S. biathlon team, recently refused to compete at the IBU world cup biathlon final in Russia. What do you think was the important outcome of this action? Lowell Bailey: I think there are a few important outcomes. I think one of the important outcomes is the realization that there are teams and athletes who are willing to undergo significant sacrifice, including skipping a world cup, in order to stay true to their own values. And I really applaud all of the athletes and the federations that stuck up for clean sport and committed to a boycott. Some people may not know that by boycotting it’s not just losing the opportunity to go race. The federations and the athletes are also losing out on significant funding in some cases, and future race slots in some cases. The Czech Republic, which chose to boycott, risked an entire season’s worth of start positions. They also risked losing funding tied to results. It’s a larger sacrifice than people may think, so I really applaud everyone, all the federations and athletes, who chose to do that. The Tyumen boycott also emphasized the point that our international federation really holds a ton of power. I honestly believe that most of the athletes who competed in Tyumen did not support going to Tyumen. But they were, in effect, forced to go there for a variety of reasons. 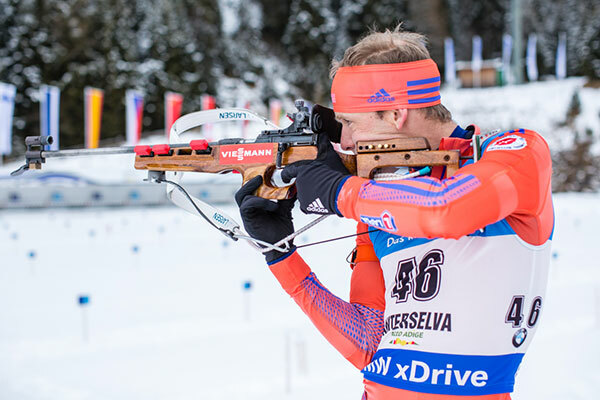 In this case, if one leading athlete didn’t participate in Tyumen and another did, the athlete that participated in Tyumen would walk away with the most prestigious award in biathlon – the World Cup Overall trophy. That phenomenon is a huge obstacle to overcome when it comes to clean sport. Q: Do you think boycotts and other initiatives will drive change? Lowell Bailey: It’s my hope that it will drive change. I’ve learned that when athletes collectively come together and voice their opinion that it’s a very powerful tool in affecting change. That said, it’s extremely difficult to organize that collective athlete voice for a variety of reasons. One being that athletes are, of course, focused on training and being as good as they can be on race day. Any distraction, whether that’s a call for collective action or not, is still a distraction. In biathlon, for example, we’re racing every week and careers are on the line every week, so it’s often really hard to get athletes to come together. When I look at the Tyumen boycott, I think the biggest shortfall that we experienced was not being able to get the information to the athletes and federations in a timely way. If we had been able to get the athletes together a little earlier, I think we would have been able to get the critical mass needed to force the IBU to actually change the venue. And that was our goal. I didn’t want to end my career one world cup early, but I did want to finish out the world cup on a venue that stood for clean sport. That didn’t happen, but I think we were really close. My conclusion is that better organization is necessary and that assurances be put in place so that athletes and federations know that they are not going to be out on a limb alone. Q: So outside of boycotts, what do you think needs to happen on the global level to make sure clean sport is prioritized and realized? Lowell Bailey: I think there are two things that I’ve been made aware of over that last year or so. One, there are serious conflicts of interest when you start looking at the upper levels of international sport. And I think this is highly problematic when you’re trying to enforce international anti-doping rules. For example, you have people that are in an administrative role at international federation level, but they also serve as directors in the national federations. And they’re expected to make an unbiased decision at the international level. But what happens when that decision adversely affects their nation? We can try to figure out ways to eliminate those conflicts of interest, but it’s also important to understand that international sport is a small world, so I’m not sure that it would be possible to ensure complete objectivity. But we can definitely make improvements. That brings me to the second point, that we need a higher jurisdiction. WADA, for instance, should have much more power in their ability to effect change and to enforce anti-doping rules that are already in place. I think the rules that we have are actually good for the most part. There is room for improvement, but in looking at the existing framework, I think the breakdown has been more on the enforcement side. The fact that RUSADA is still non-compliant with the WADA Code and the IBU was able to hold a competition there…that’s just completely unthinkable to me. There was no mechanism or enforcement body that prevented the IBU from making that decision. Q: What do you think are some of the realistic ways for athletes to get involved at this point? Lowell Bailey: I think athletes can use their athletes’ committees. In my role as an athletes’ representative, both at the national and the international level, I’ve seen that these are important committees that have quite a bit of say in what their international federations do. So write letters. Reach out to your athlete representatives. Because that’s the way the athlete voice is going to be heard. Q: Even though there might be sacrifices involved, why do you think it’s still worth it to take a stand? Lowell Bailey: It can be very frustrating when it seems like your voice as an athlete isn’t being heard. I know I’ve been frustrated with the IBU. But I think it’s still important to make your voice heard as an athlete, and the more athletes that speak up, the better chance we have of effecting change. And I really do believe that, in the end, clean sport and fair play will prevail. It’s been an especially trying four years…but people are listening. People in power are listening. There is a huge debate going on across the international sports world and I do think that change is coming. It’s important to remember that every little bit helps. Every time an athlete writes a letter or makes their voice heard is important. Q: Are you planning on staying involved in the fight for clean sport in any capacity? Lowell Bailey: Definitely. I’m still an athletes’ representative for the U.S. biathlon team. I’ve also been involved in a few different discussion groups within the international sports community. And I plan on being part of a few panels to discuss ways in which we can try to overcome some of the obstacles that I covered earlier. There are a lot of tough questions ahead… how do we mitigate the conflicts of interest at the international federation level? How do we make sure that there is an objective enforcement process with regards to anti-doping rules? It’s going to take a lot of creative, intelligent people to come up with the right answers. And the international community of clean athletes needs to keep the pressure on, especially in the wake of an Olympic year when the inclination is to sit back and wait. Now is the time to engage and try to make the changes that need to occur. Q: Are you’re going to remain involved in biathlon going forward? 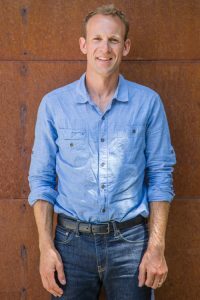 Lowell Bailey: I plan on remaining involved in biathlon in a variety of different ways, the first of which is that my family and I are moving out to Montana for my new role as director of Crosscut Mountain Sports Center, which is an outdoor recreation center with a focus on biathlon and cross-country skiing. The local club that Crosscut Mountain oversees has almost 100 kids involved. And it doesn’t take long on the range to see the excitement in these kids. I hope that I can help grow that program, and help support the coaches and the athletes in Bozeman. Q: How will the clean sport conversation and some of those principles play into your work there? Lowell Bailey: We often talk about clean sport and fair play synonymously. But when you think about fair play, it’s really the commitment to not cheat in any way, with one of those ways being doping. The best thing we can do as role models is to instill the idea that fair play is unconditional. And that your life is going to be much better if you can go to sleep with a clean conscience at night. Lowell Bailey: I keep coming back to the idea that there is a solution for clean sport out there. We haven’t quite reached it yet, but the comforting notion is there are so many people that are fighting so hard right now. And so that’s got to mean something. Integrity has to prevail at some point. As much as I’m frustrated with the current circumstances, I still and always will believe in the adage that cheaters never win.